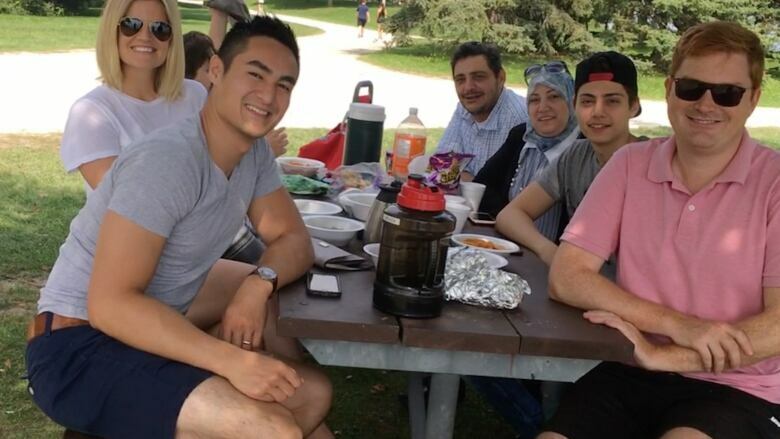 The Together Project matches families with government-assisted refugees to help them navigate life in Canada a bit better. When Alix Ablaza and her family first met the Al-Khoulys, it was "interesting" at first, she says. 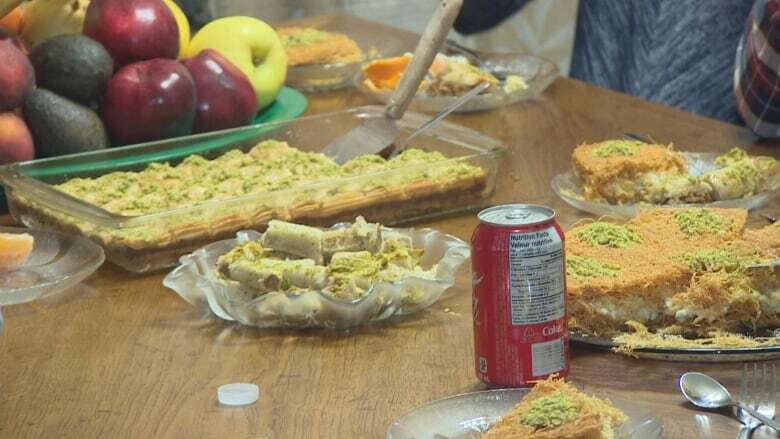 The Al-Khoulys moved to Toronto in 2016 as refugees from the Syrian civil war. They had first fled to Lebanon in 2011, just as the fighting started. The family of five spoke Arabic. Ablaza's family didn't. There was no idea how much they would have in common. But, as is the case in many multi-cultural encounters, food was the great equalizer. "They prepared a table-full of baked goods for us, so that was a great ice-breaker," she said. The families met through a program called The Together Project. It matches families with government-assisted refugees to help them navigate life in Canada a bit better. 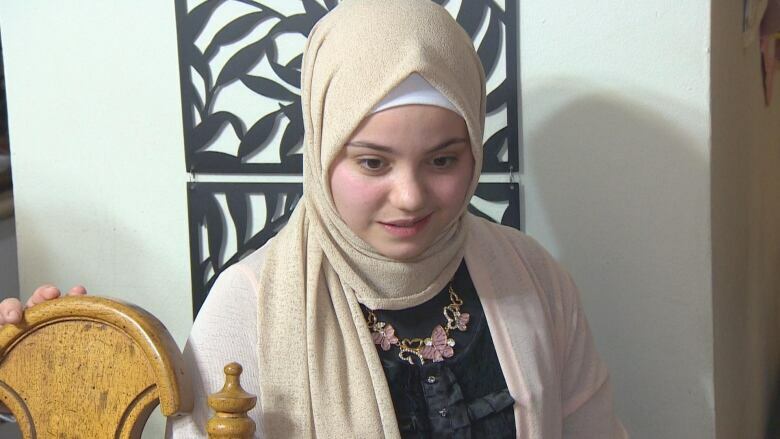 "It was really hard to speak to people when we first came," Bahaa Al-Khouly recalled. "Even when we go buy some stuff it was hard to understand." 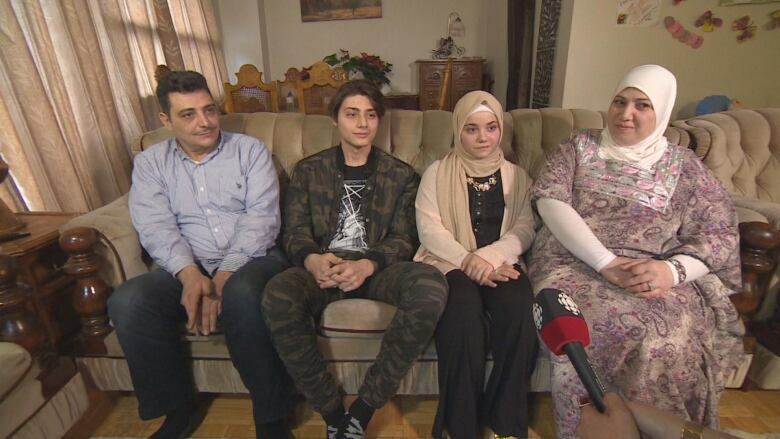 When they moved to Canada, Bahaa and his sister had been out of school for seven years. The children were working in Lebanon to help their family financially. "When we started school, it was hard to speak with anyone even teachers. We wouldn't understand what they were talking about," Bahaa said. They're now in Grade 9 even though students their age are in Grade 12. "When you stop dreaming of the future, of what you want to be and have to start again...it's difficult," Walaa said. Those are some of the things that the families they matched with through The Together Project help with. Lisa Levy and her family bring board games so the family can play and practise their English at the same time. "It's a great way to relax and get to know each other," she said. "It's not a financial thing. We set up dentist appointments. We have an appointment next week with an employment counsellor." "It's about getting them to what resources are available." Levy is American but has spent the last 20 years in Canada. "Seeing what's going on in the States with immigrants has made me crazy," she explained. "I'm not much for going out and demonstrating or holding a sign, but I found...this group and said 'I'm going to do this' because it's something." Andrew Lusztyk, the project's matching director, says that idea reverberates with a lot of families. "It's really the kind of hands-on approach to supporting a vulnerable population that makes it very appealing," he said. The Together Project works with the publicly-funded immigration agency, COSTI, to learn as much as they can about volunteer families and newcomer families to match them. Andy Lloyd also signed up with The Together Project and was paired with the Al-Khoulys. He says the immigrant community in Toronto motivated him to join the program. "Recognizing the incredible contributions that immigrants and refugees have made in Canada, many people who I know and work with, who came here 30, 40 years ago with nothing and are now real community leaders," he said. "It's incredible to be a part of that transition for another family." The families first got paired up in July and have become good friends since. "They're more than friends now, they're family," Walaa said.